Traditionally VBscript has been “the” script type to use in OS Deployment scenarios, but with WinPE 4.0 in the ADK and MDT 2012 (u1) it is now an option in some scenarios. Here is just a demo script that does not do anything at all, but it should give you an idea of how to create those scripts. The next block is to show you how to convert a variable from the Task Sequence using the $TSEnv: drive. You don’t need to do this, it is possible to use $TSEnv:OSDComputername directly, but I think this is a bit easier. Remaining blocks will display the information on the screen while running. Service Providers, Hosters, SPLA partners in Sweden – It’s time for the gathering of the year! Thx Mike! Will continue to use $TSenv. great tips! Great Post! Keep up the Great Work!!! Hi Mike. Was just wondering about leaving out “Import-Module .\ZTIUtility.psm1” as the (very basic) MDT PowerShell documentation says in the prerequisites for creating MDT PowerShell scripts, is it no longer needed? 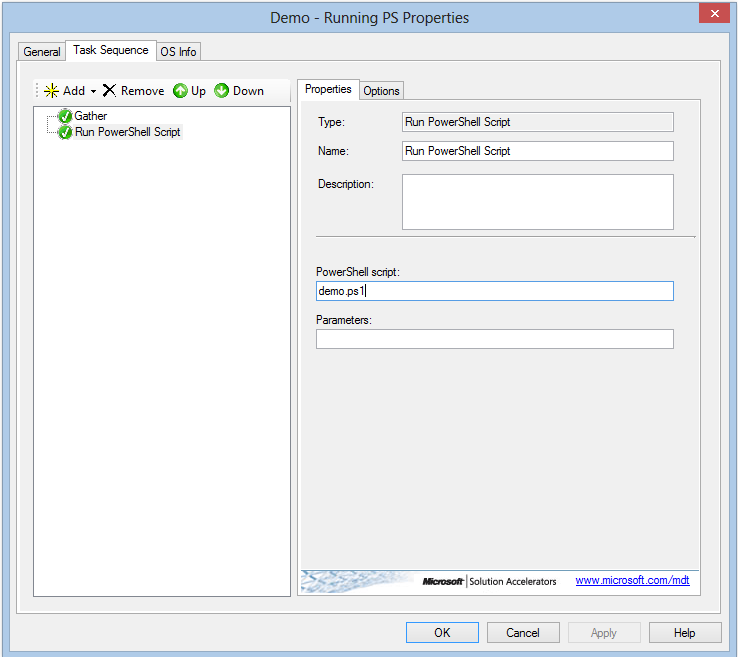 It depends on how you run it, if you use the run pwershell script in the TS, you dont need it, but if you use powershell.exe as command or when you test the script outside the TS, well then you need it.